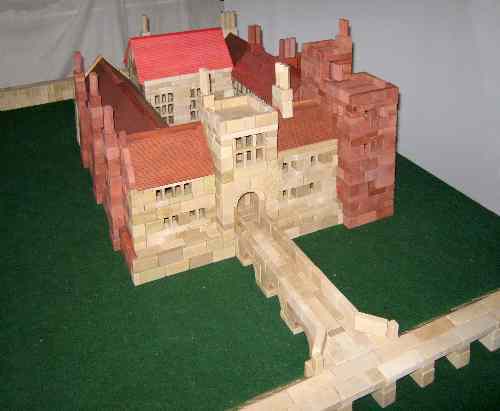 British AV Aidan de la Mare, Yarmouth, Isle of Wight, designed and built this moated castle. It is a mixture of Anker and Lott's Blocks. The Lott's roofs are very similar to the roofs in the Landhaus (300) series of Anker sets. So they do not offend my "Anker eye". Aidan's description and more pictures are found on the builder's page. For the month of May, 2013.